About this time last year I did a post about ear pain in kids. I know not often do you find ear pain this time of year, but this post is in preparation of the season to come. Hopefully being knowledgable and prepared will help stave off the infections! In that post I talk a lot about the causes of ear aches, symptoms and common home remedies (homeopathic and more traditional). 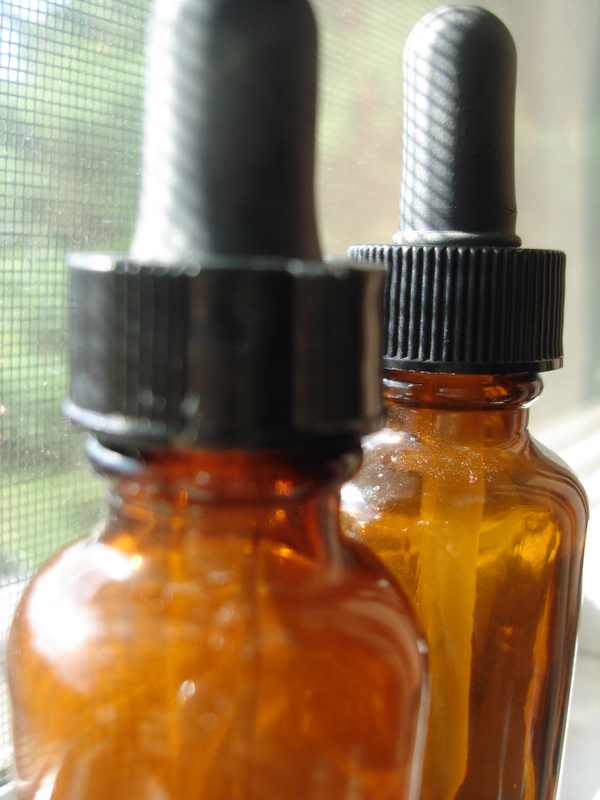 I also mentioned the garlic olive oil ear drops that can be purchased or made at home. When we had the one and only mild ear infection in this house it started suddenly (while in the grocery store and a sudden start to the pain is common in kids) and I didn’t have time to make it once I got home. Since we were already in the grocery I purchased it there. I do like the brand [amazon_link id=”B004GW6NMC” target=”_blank” container=”” container_class=”” ]Herbs for Kids[/amazon_link] and it worked well for us. However, I’ve also made the homemade version for when it ran out and it works just as well. I’d much prefer to use the homemade stuff since I know exactly what is in it. Another plus is that I ALWAYS have fresh garlic and olive oil on hand. Finely chop the garlic. Add to oil and heat until garlic is soft, about 25 minutes. Wait until it cools before using it. If the garlic starts to stick, then turn down the heat. You can store the oil with the garlic still in it, but make sure none of the pieces of garlic make it into the ear. Or after the oil cools you can press the garlic through a cheesecloth to get all the oil out. Place 4-5 drops of oil into affected ear three times a day. It will keep in the refrigerator for about 1-2 weeks. When using this, make sure you heat it slightly before putting it in the ear. If this is cold it WILL cause nausea (maybe vomiting), dizziness and pain. Usually there is enough pain and discomfort with ear aches that you don’t want to add anymore to it! Don’t heat it in the microwave (if you have one) because it will get too hot and it won’t eat evenly and it’s very hard to control the temperature of it. The best way to heat the oil is to fill a cup with hot tap water and set the bottle of oil in the water for a few minutes. It won’t take long. Be sure to test the temperature before putting it in the ear. It should be a little warmer than room temperature. After putting the drops in have the child lay on the unaffected side to allow the oil to completely coat and soak into the ear. My son LOVES to have books read to him, so I had him lay down and have his head in my lap. It made it easy to put the drops in and then I read books to him for about 30 minutes. It doesn’t have to be that long, but it was soothing to him and it gave the oil more time to work. He loved having it put in and said it helped a lot. We didn’t even use any pain killers (ie motrin or tylenol) to reduce the pain. Without the oil though, he was teary and did cry because of the pain. I hope this helps and encourages you for winter… that earaches will NOT be a reason that you have to run to the pediatrician! loving the new blog look, Bethanie! thanks for all the helpful tips! God bless. Oh girl! Thank you soo much! I have my happy little boy back again! It is a miracle! You are a life saver! So glad it helped! It has worked well for us too! Glad they little guy is feeling better!